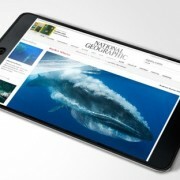 When the next generation of touchscreen tablet computers hits the market, one of its highly anticipated uses will be as a full-color reader for books, newspapers, and magazines. Of those three, the main beneficiary may very well be old-style magazines. The black-and-white Kindle doesn’t do magazines justice, and they never really quite translated to the Web. The magic of a magazine is all in the layout—the interplay of lush prose with stunning photography or standout illustrations. A tablet computer holds forth the promise of a high-resolution color screen that is big enough so you won’t have to squint at it. Tablets will be portable and comfortable enough to hold in your hands while you are sitting in an easy chair. And subscriptions can be delivered on an ongoing basis as quickly as an issue or an article can be published, without those pesky printing, paper, or shipping costs. It’s not hard to understand why beleaguered magazine executives and editors can’t wait for these tablets to appear. They are already talking about creating a Hulu for magazines—kind of like a giant digital newsstand which delivers its digital editions to tablets and other devices from all of today’s major print magazines. Don’t overestimate the importance of the right device. 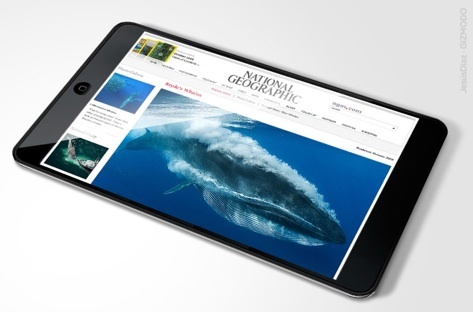 With no imagination at all, we can envision a 10-inch iPod Touch, which would render beautifully packaged magazine-style content in a far more reader-friendly way than the Web. Even the “lean-back” experience of the Kindle, as primitive as it is, is far more conducive to long-form reading than trying to read on a desktop or laptop. I mean, it’s not coincidental that the killer app on the Web is the browser. The Web is built for browsing—not deep reading. Everything about reading on the Web is designed to shorten your attention span. Every link promises that whatever you’re currently reading isn’t nearly as interesting as the thing behind the link. Not that there’s anything wrong with that for some things. But it can’t possibly work for everything. Magazines don’t need links. They should be like wonderful applications, surprising and delightful and fluid to use. If you want to browse the Web, close the app. What Quittner is evoking here is the iTunes model, where you download self-contained apps to your iPhone. Imagine magazines for sale on iTunes, but for a bigger device. And they are not just filled with words and pictures, but have interactive elements, perhaps video too, and operate more like an information app. I think that’s a great idea, and would love to see magazine “apps” like that. But not including links in the text would be a mistake. And in fact, Quittner’s analogy only goes so far because many iPhone apps support links which then open a browser. That kind of hybrid design could work for digital publications as well. Digital magazines should be immersive, self-contained experiences, Quittner argues. I agree with the immersive part, but if it’s too self-contained you end up with a CD-ROM. When was the last time you bought one of those? But Quittner seems to want e-mags to be more like e-books, which don’t have any links at all. In his mind, every link “leaves the barn door open” and points “away from the product . . . to the wide-open Web,” where nobody wants to pay for anything. Sorry old pal, but that horse left the barn a long time ago. I can appreciate the challenge magazine companies have of transitioning from print to digital without losing paying subscribers, but they ignore the link structure of the Web at their peril. Those links are there whether they acknowledge them or not and people will seek them out. If the Web has taught us anything it is that information does not exist in a vacuum. An article without links is a dead story. An interesting artifact perhaps, but not something that will engage and delight the modern reader, who finds information these days by following links or passing them around. If you close the door to the Web, you’ll only be locking yourself in. When Google launches its own electronic book store, the books will be delivered via the browser. No special electronic reader will be required. The same should be true for digital magazines. New browser technologies can make digital magazines more immersive than a standard HTML Website, and in fact a magazine’s Website can be programmed to unlock different features depending on the type of browser and device that is being used to view it. If it detects a touchscreen tablet, maybe the UI changes to deliver the most compelling experience. 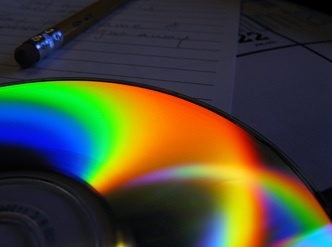 CD-ROM image by Clinton Little; Tablet magazine image via Gizmodo.